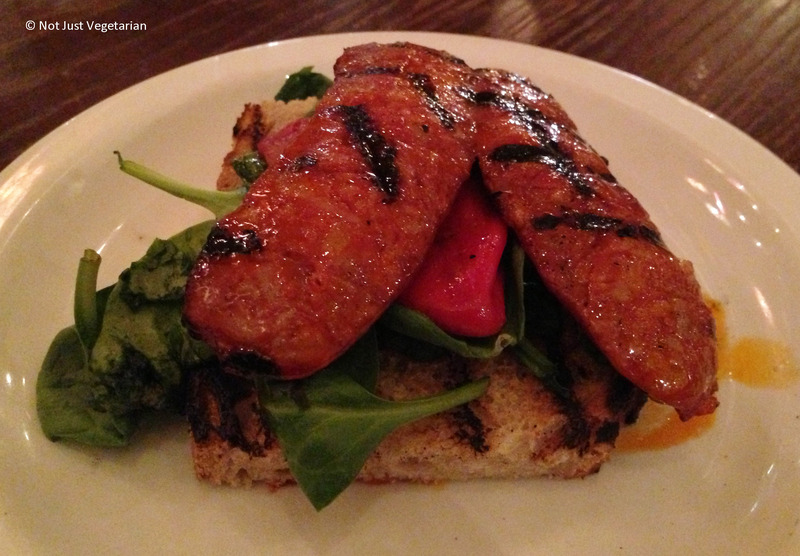 Brindisa Tapas is no new comer to the tapas scene in London. Long before the Brindisa Tapas Kitchens started serving tapas in 2004, Brindisa Kitchens were selling some of the best food and spices from Spain in whole sale and in retail. We love the food at Casa Brindisa (South Kensington) where we have been to several times over the last few years for dinner, brunch, lunch etc., and every time, we want to go back for more. The al fresco seating on Exhibition Road makes the visit all the more exciting in good weather. Visits to other Tapas Brindisa locations (in Soho and in London Bridge) and Tramontana Brindisa (in Shoreditch) are now long overdue for Not Just Vegetarian. I am also thrilled that I can buy the right ingredients and recreate recipes from the Brindisa Tapas Kitchens’!! 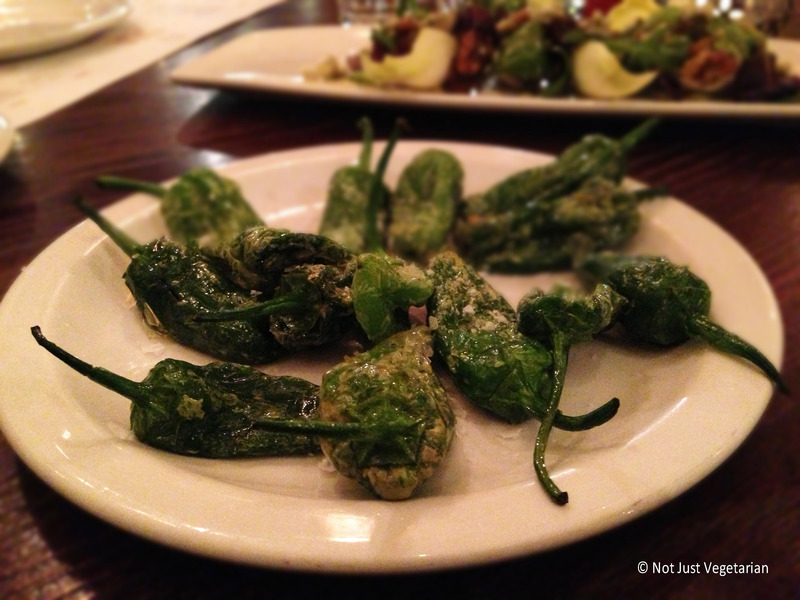 We liked most of the dishes we ordered at Casa Brindisa during this specific visit. The dishes were very well-balanced with sweetness (from raisins, tomatoes, pears etc. 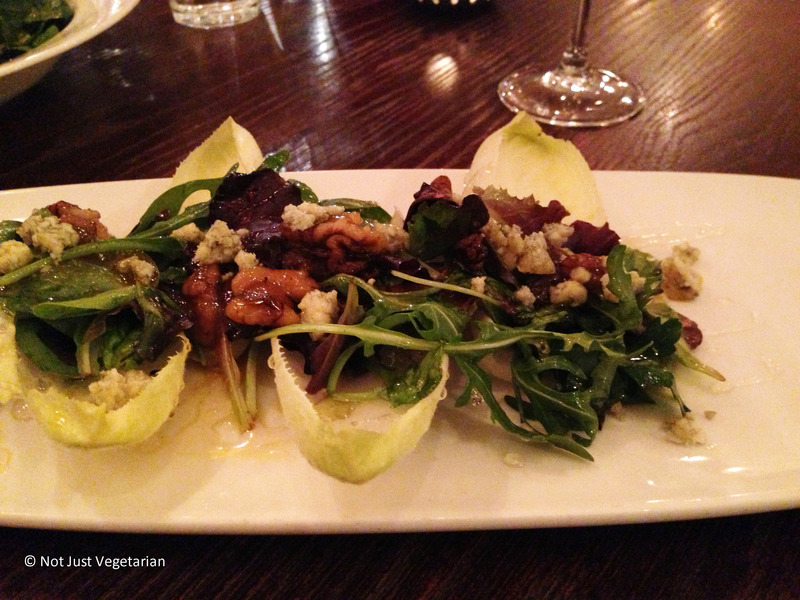 ), acidity, crunch and some distinct flavours (e.g., blue cheese, smoked paprika). 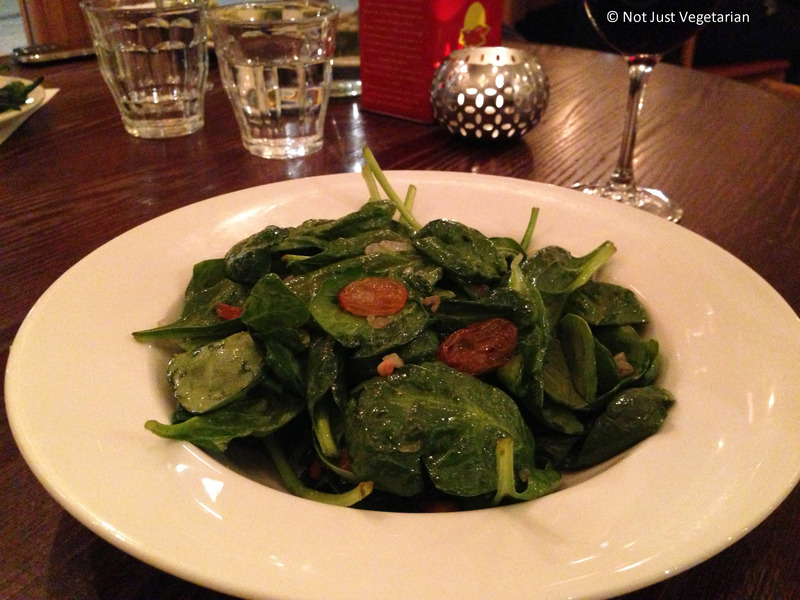 The salads are particularly delicious as are the padron peppers. 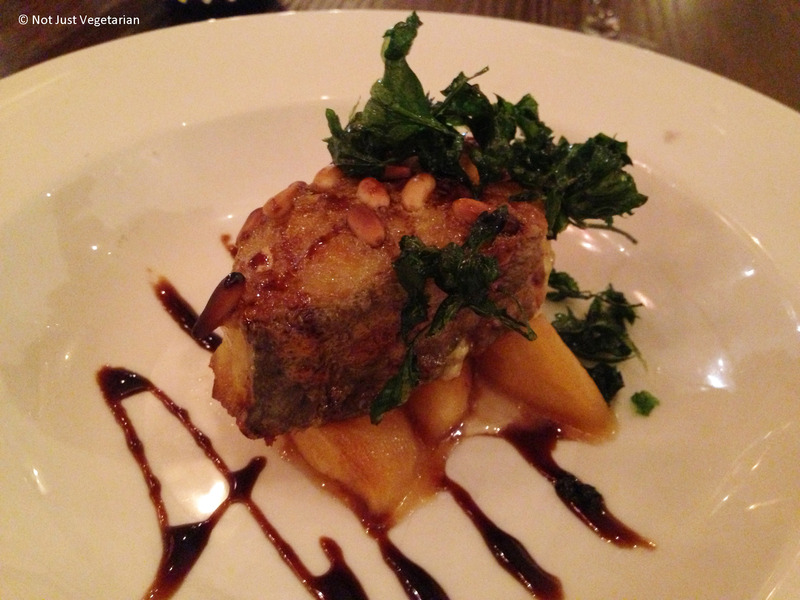 The cod dish was superb with some sweetness from the pears and the some crunch from the pine nuts. 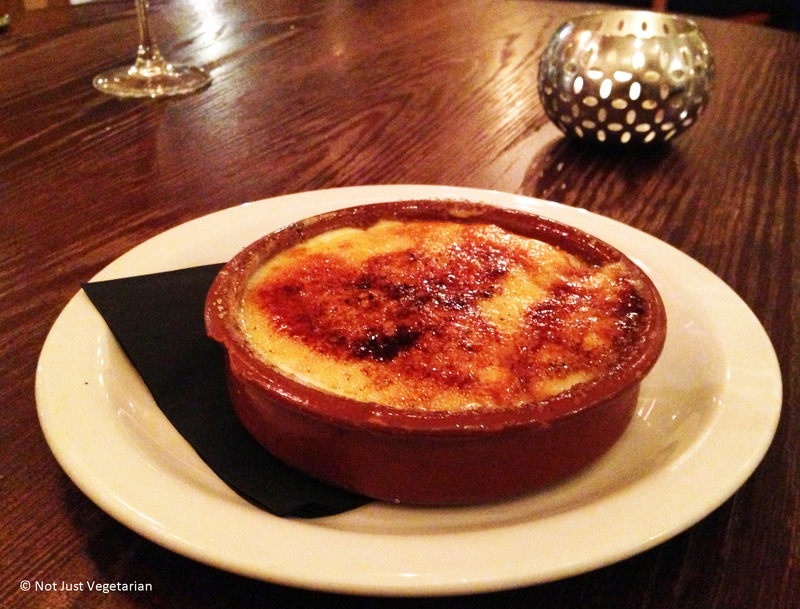 The Catalan burnt sugar custard turned out to be the Catalan version of a creme brulee (or was it just a different name?) . The one dish that did not particularly deliver the same quality as the other dishes was the grilled smoked chorizo on grilled bread and piquillo pepper – the ingredients were simply laid on top of each other and were too disparate and large to be eaten together – e.g,., the chorizo would fall off as we try to cut into the piquillo pepper and the bread could have well been served on the side! 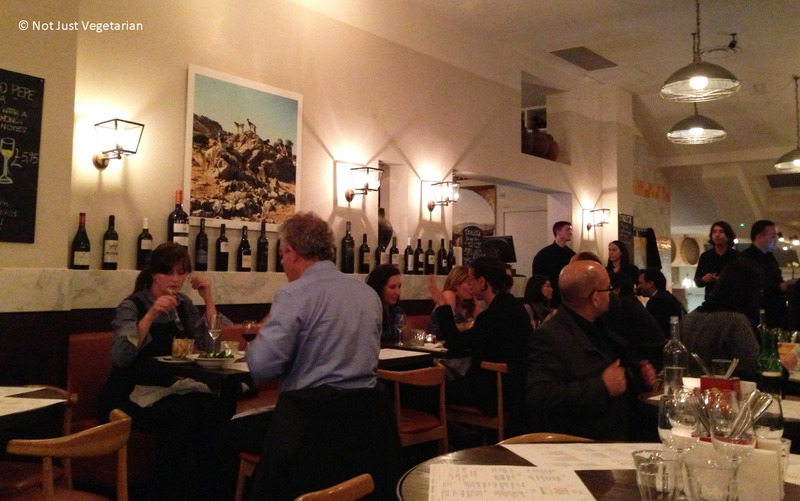 Casa Brindisa is a great place to hang out with friends or family and the food is universally delicious there. Brunch / lunch will be particularly delightful for those who derive tremendous excitement from simply watching how the open kitchen works (guilty!!)…. 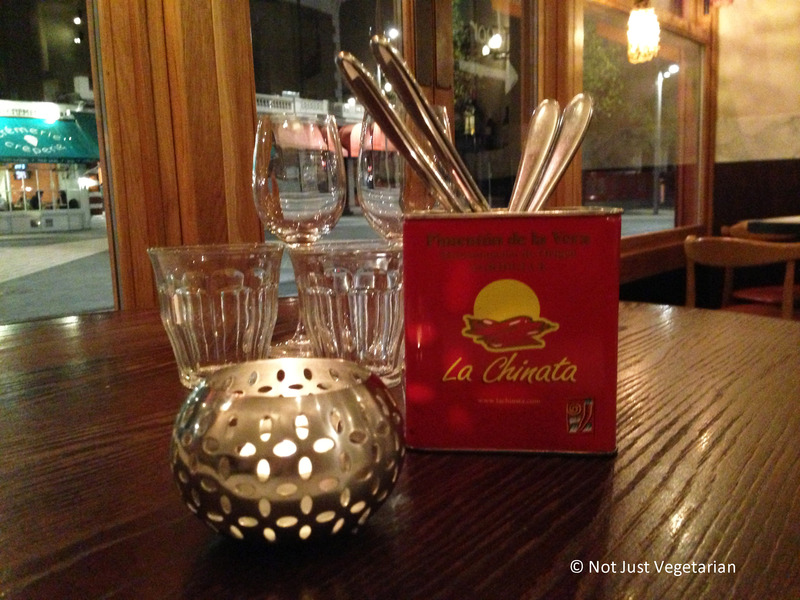 Note: The post “Tapas at Casa Brindisa in South Kensington, London” appeared first on Not Just Vegetarian.